Nothing says summer like a cozy cottage by a crystal-clear lake. The views, the solitude and the familiar sounds of the season soothe the soul in so many ways. Imagine the scene: Early morning, mist lifting off the lake's surface and you're snuggled up in a rocking chair on the porch, slowly sipping your coffee and soaking in each breathtaking moment. Longing to get away from it all? Searching for a spot where the whole family can congregate and catch up? Here, we share 10 of our favorite lake houses for sale — all under $300k and just right for nature lovers, artists and city folk who need frequent breaks from the daily grind. 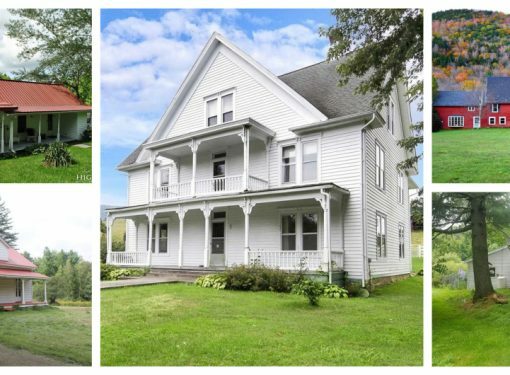 This classic New England home sits across the street from picturesque Lake Whitingham and offers its owner the opportunity to boat, fly fish or ATV on a fast network of snowmobiling trails when the lake freezes over in the winter. The home dates back to 1940, so needs a few updates, but the porch with its impressive views is worth the price tag along. Learn more about this three-bedroom Colonial-style home. The only way you can reach this rustic cabin is by boat, which may be the reason why a boat comes along with the home sale! This completely secluded four-acre, forested property is nestled in its own private cove (no neighbors!) on North Tenmile Lake. The cabin sleeps up to six guests and is off the grid/solar-powered. The ideal family camp or artist's getaway. 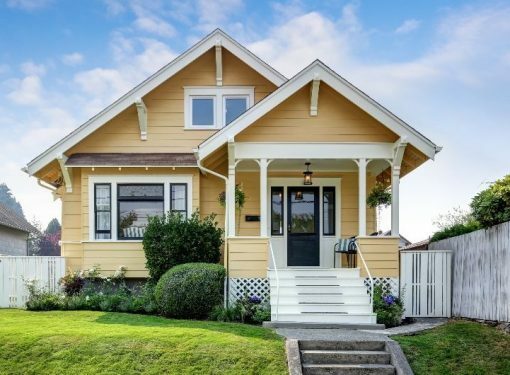 Learn more about this bungalow-style home. Some of the best walleye fishing in all of the state can be found in Big Sandy Lake, the location of this circa-1940 lakefront home. Newly renovated with a new roof, septic system and drilled well, this cozy three-bedroom home features its own dock and two-car garage. Learn more about this 1,080-square-foot home. Imagine slow summer afternoons enjoyed on this home's back deck, which overlooks Landon Lake. Built in 1992, this Cape Cod has many updates, including a new master bathroom. Best of all, the master suite offers water views! Learn more about this four-bedroom home. This ranch home, just two hours from Chicago, was built in 1990, but a recent renovation incorporates the finest materials, fixtures and appliances. The home sits on almost two and one-half acres of land, with a deck that offers breathtaking views of Kelsey Lake, a short walk away. Learn more about this private getaway. 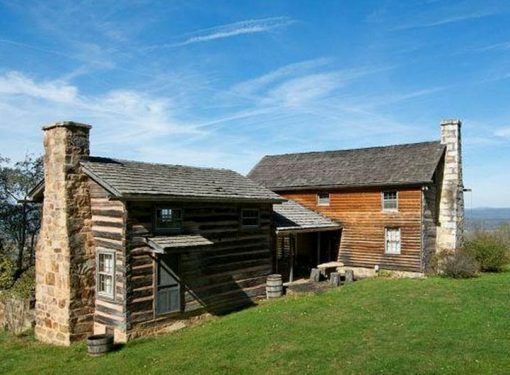 This circa-1850 farmhouse looks like it has stood on its site for centuries! The home boasts 240 feet of Claytor Lake shoreline and sits on a 1.7-acre lot. The current homeowners have painstakingly renovated the home, which boasts three bedrooms, plus a boathouse, a springhouse and a spring-fed stream. Learn more about this waterfront home. This cozy cabin, which dates back to the roaring 1920s, features three bedrooms and an original butlers quarters, located on the basement level. A 700-square-foot great room offers expansive views of Big Bear Lake; a massive rock fireplace serves as the room's focal point. Plenty of patio space offers many options for outdoor entertaining. Learn more about this unique property. The ideal family retreat, this five-bedroom home offers extraordinary views of Lake Champlain from its wrap-around deck and second-floor balconies. Perennial flower gardens dot the property, which is close to the boat launch, beach and ferry. Learn more about this 3,872-square-foot home. Imagine owning your own camp! This rustic cabin sits right on Sebec Lake and boasts a first-floor bedroom and a lofted sleeping area. An apartment above the garage offers accomodations for overnight guests or a renter. A private dock and seating area near the water make for a peaceful retreat. Learn more about this lake-view property. For recreational use only, this 836-square-foot cabin sits on 11 acres of property and can sleep up to six people. Standout features include exposed beams and an oversized stone fireplace. Located in a gated community of cabins that share a lodge and lake, the home offers plenty of opportunities for outdoor activities. Learn more about this circa-1950 residence.